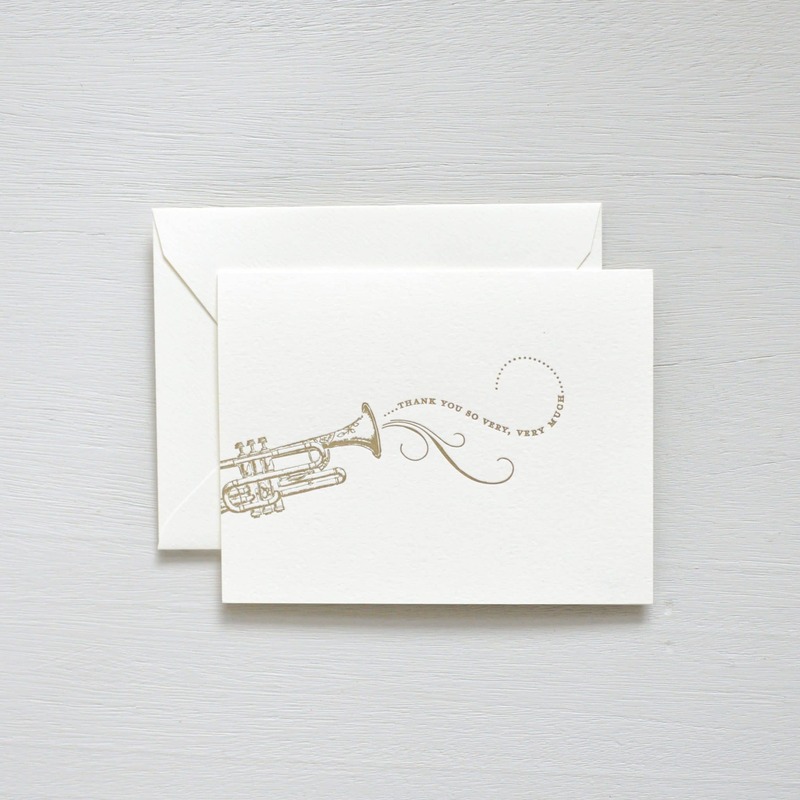 Inspired by the music that moves us all, this folded note features the trumpet and scroll with the phrase thank you so very, very much. Printed on thick, natural white cotton card stock, these folded notes are elegant enough for a formal occasion, but casual enough for a quick thank you. Eight cards and matching envelopes.